“The Sacraments…celebrate the coming of the Spirit as special moments in the life of the community of faith and its members, and express the Church’s faith and interaction with Christ” (Sharing the Light of Faith). Here at St. Charles we joyfully celebrate the sacraments that bind us together as a people of faith–people who look to encounter God in those moments of liturgy when we know God and one another in the most life-giving ways. The sacramental preparation of children and youth for Communion, Reconciliation, and Confirmation is a two-year process. 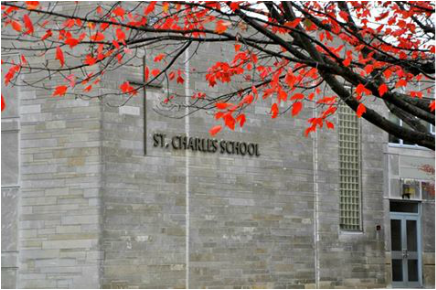 Children at St. Charles School and in the religious education program must have two years of religion classes or religious education before receiving the sacraments of First Communion and First Reconciliation. of the Catholic Church, 977, 1213,1275, 1278). To present your child for Baptism, you must be registered members of the parish and select Catholic godparents in good standing with their parishes. Call the Parish Center to make the final arrangements. of Christian Initiation of Adults, known as RCIA. the first grade. Parents play an essential role in this sacramental preparation process. The Religious Education Department offers support to families by providing informational classes for the parents and education materials and classes for the children. Final preparation for the reception of First Communion takes place during the second-grade level of catechesis in both the school and the religious education program. Older children who need to be prepared to receive the Sacrament of Eucharist are prepared through our Rote of Christian Initiation of Children class. For further information, please contact the director of religious education. (Catechism of the Catholic Church). reflect the Holy Spirit living within them. during the Advent and Lent Penance Services. Reconciliation is available daily, 30 minutes before daily Mass and at 3:00 p.m. on Saturday. 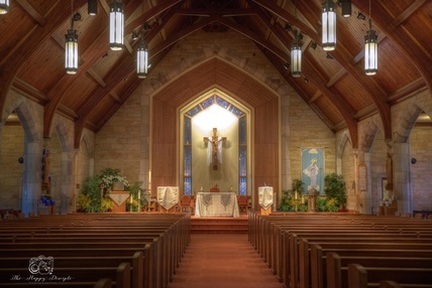 St. Charles provides marriage preparation for weddings scheduled at our church. Men discerning the priesthood or diaconate should contact either the pastor or the diocesan vocations office. presbyters in every town, as I directed you” (Titus 1:5). in the midst of the community. divine worship (munus liturgicum) and pastoral governance (munus regendi). of Antioch, Ad Trall. 3,1). of the Pope, successor of St. Peter. the charge of a parish community or a determinate ecclesial office. by a solemn prayer of consecration asking God to grant the ordinand the graces of the Holy Spirit required for his ministry. Ordination imprints an indelible sacramental character.